When I came across this area on the side of a mountain in the Raggeds Wilderness, I knew I had found someplace special. The mixture of aspen forest and dark, lichen-covered boulders is not commonplace so I decided to explore the area thoroughly. 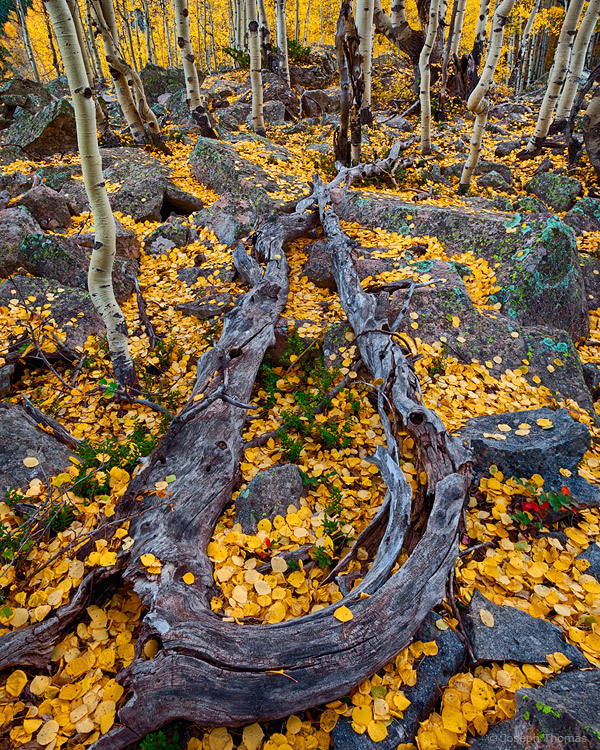 Soon I was rewarded with yet another unusual element: the twisted and craggy remnants of a double trunked aspen tree to anchor the composition. A fresh carpet of newly fallen leaves added the final magical ingredient to this enchanting scene.